In cities such as Houston or San Antonio one expects to find something to do no matter what one’s interests may be. But folks don’t quite expect the exceptional number and variety of “things to do” in in a town the size of Corpus Christi, however. Corpus is much smaller in land and population than the Big Cities. But on any given day Corpus offers as much, or more, to do than one can find in a metropolis a dozen times its size. And what’s more? It’s packed into a small space where driving distance is much shorter and traffic is far less of a headache. There are, of course, the more popular and well known attractions such as the Texas State Aquarium, the USS Lexington, and the beach (or beaches!). But there are many more options that are just as much fun, often for less money. So where to go first? We’ll start with a visit to the Aquarium. It’ll take more than half a day to see all the wonders of sea life, Texas style. 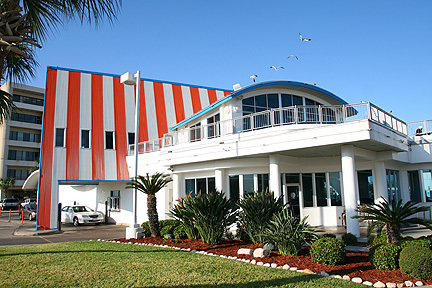 Designated the “Official Texas Aquarium” by the state legislature, Texas State Aquarium opened in 1990. The Aquarium offers an assortment of fascinating and educational (sh! Don’t tell the kids!) fun. 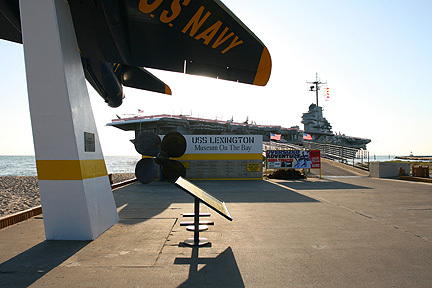 Next door to the Aquarium, out in the bay, stands the impossible to miss USS Lexington, an aircraft carrier with a proud history. There’s no telling how many planes bounced off its decks during its service to America. She’s lovingly called The Lady Lex, a gal who plied the oceans for forty years, beginning in 1943. The Lady’s proud history is on display for all to see. Another half a day, or more, can easily be used up walking the decks of the Lex, checking out life on an aircraft carrier and gawking at the airplanes on her flight deck. Getting hungry? Corpus Christi is not shy on restaurants. There are some great local eateries such as Blackbeard’s on the Beach close to the Aquarium or the Water Street Oyster Bar downtown. And of course, what’s a Sparkling City By The Sea without Seafood? There are some great local eateries such as Blackbeard’s on the Beach close to the Aquarium or the Water Street Oyster Bar downtown. Down Airline west of Sunrise Mall there’s Saltwater Grill. And unique for its location and excellent cuisine there’s Snoopies Pier on the island just over and then down under the JFK Causeway bridge. Two other eating options have to be mentioned. The first is Whataburger. Sure, Whataburgers are all over the place, but Corpus Christi is home to the fast food chain. Corpus has the highest concentration of Big W’s anywhere, with some of them rather different than what one might find elsewhere, since the company has tested a few concepts on Corpus locals. On the Bayfront one can much on a burger from the second floor of a big, two-story Whataburger that offers a great view of the downtown marina and bay. And then there’s a little chain of restaurants virtually never mentioned in tourist brochures but well known to the locals as a great place to have some fish and fries for an incredibly low price: Boat ‘n Net. There’s nothing high class about these little restaurants, most are drive up or drive thru, but the food is very delicious. Their tartar sauce is the best anywhere, an original recipe kept secret even from employees! The restaurant on Kostoryz is a great choice. The food is good but even more interesting is their exceptionally low-tech plastic pipe and wood funnel communication system at the drive thru! Kewl! Now we’re full, what next? It’s a hard decision! Museum? 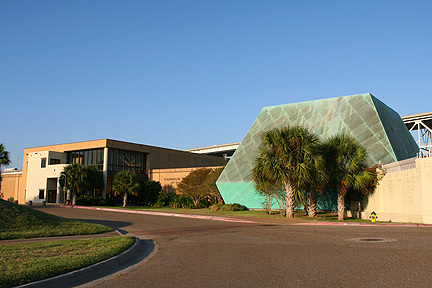 The Corpus Christi Museum of Science and History is a good option. 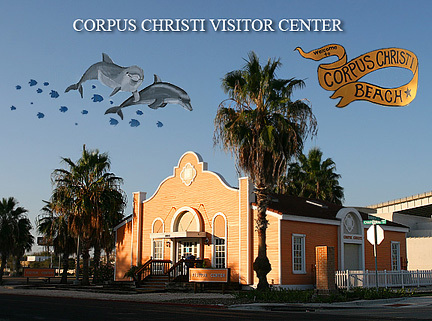 Located in the shadow of the Harbor Bridge downtown, the Corpus Christi Museum presents some exceptional exhibits relating to Texas history and culture. Many exhibits are interactive so kids will have even more fun. Highlights of the museum include artifacts from Spanish shipwrecks, San Esteban and Espíritu Santo wrecked off Padre Island in 1554, and La Salle’s ship La Belle, which wrecked in Matagorda Bay in 1686.Maybe you’re the artsy type? 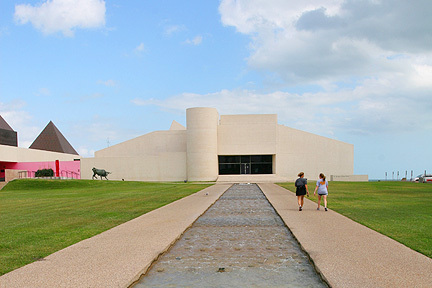 We can visit the Art Museum of South Texas. The Art Museum provides a plethora of educational opportunities as well as both permanent and traveling art exhibitions. The Museum has a well stocked gift shop and a splendid café open Tuesday through Saturday for lunch offering some unique meals at moderate prices to be devoured while enjoying a terrific view of the ship channel, just in case you’re still hungry. The Harbor Playhouse could be our next destination, then. Growing from a little company of local performers, the Harbor Playhouse now resides in its own auditorium with seating for over 400 patrons. Live performance is on stage throughout the year. The Playhouse offers a School of Theater for up and coming actors, some of whom might add their names to the roster of famous Corpus Christians like Farrah Fawcett, Eva Longoria, Dabney Coleman, and Lou Diamond Phillips. 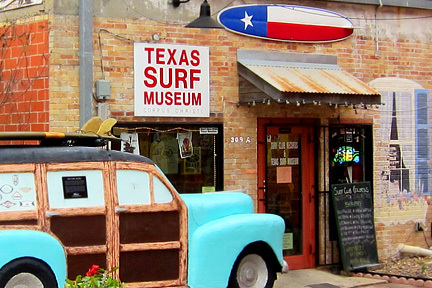 There’s other attractions in Corpus Christi such as Heritage Park or the Texas Surf Museum, too. Obviously it’ll take a few days to visit them all. But what to do when the sun goes down? Ah, now it’s time to let our hair down a bit. A magnificent sunset over Corpus Christi Bay raises the curtain for some totally fun, foot stompin’ good times… it’s life after dark in Corpus Christi, and it’s all good! Laid back is the name of the game at the Executive Surf Club on Water Street, downtown. Or sometimes the game is Football or Baseball, cold beer and bouncing heads on a big screen. Other times it’s live entertainment rattling the surf boards along the walls. Whatever the event, the Surf Club is an option we must consider. But hey, the night is young. Where else can we go? We’ve only been able to cover only a few of the sometimes overwhelming choices of where can we go or what can we do in Corpus. It’s not a city one can easily get bored in. There’s just too many great choices to pick from. There are even more opportunities to get into something not to far away. Portland, Port Aransas, Rockport, Aransas pass, every one of these little towns have restaurants, events and festivals that add to the list of never ending fun. If we still have more time on our hands then beyond the great entertainment, inspiring plays, enlightening museums and dining options in the heart of the city there’s additional untold adventure waiting in almost any direction! We have to do some shopping over on South Padre Island Drive where there’s hundreds of shops and two inviting malls, La Palmera and Sunrise Mall. And we’ve not even mentioned Corpus Christi outdoors, a ‘whole other story by itself. Where do we go from here? Might be that we have to head home after a few days of hard choices and good fun. So when we’ve pulled up in our drive and unloaded our suitcases our thoughts return to the Sparkling City by the Sea and we know the answer instantly: back to Corpus Christi, of course, and as soon as we possibly can!